Today I will be talking about the survey panel Epoll and telling you straight up whether or not they are worth your time. I know there are many mixed opinions out there already about the panel, with many thinking they are legit and some thinking they are a scam. You have come to the right place as in this post I'll be talking you through all you need to know about them. While not everyone is a fan of survey sites in my opinion they can be a great way to make a passive income and this one is another one that claims to offer a an opportunity for people to get paid for there opinions. However not all surveys sites are as good as they promise which is why I started this site to show you the ones that do and don't pay out. Recently I came across this site which is another survey site that is fresh on the scene that pays people to complete surveys. They are unique to most survey sites out there, so for those of you looking to make extra cash online doing paid surveys this review may be of interest to you. In this Surveytime.io review I will be taking you through everything you need to know about them. I have also used the site myself and been paid out so I will be mentioning my experiences with them along the way. LiveWire Survey Review – Make $50 A Survey? Microsoft Rewards Review – Get Free Xbox Live Gift Cards? Is Harris Poll Online Legit? – The ‘Shocking’ Truths Behind The Panel! Are you wondering whether Harris Poll is legit, if so then this review should help you out and answer any questions you have on the panel. This is a panel well known to survey takers as they are known to pay members to complete surveys and for also being established. However despite this is Harris Poll worth the time and will they help you make money also? Bare with me as I will go through everything you need to know about them right here. Harris Poll Online is a legit online survey panel that does pay the average Joe to complete surveys online. You won't make lots of money but what they offer is a genuine opportunity to make money online. What Is Harris Poll Online? Harris Poll Online is a survey panel that is owned by a market research company called The Nielsen Company of which have been in existence for over 45 years. The company is well regarded in the paid survey industry as they have been active for many years and do have good reviews and even a A+ BBB crediting to back that up. They offer opportunities for people to not only make money by giving thier opinions on different topics but also have a say on different products and services around them. Basically your participation will play effect in the development of market research projects which is one of the reasons some people enjoy taking surveys as a side job. In order to be eligible to sign up you must fit into certain demographics, these include being either a US or a Canadian resident and being over the age of 13 years of age. As long as you fit into both of those fields you should be good to go and you can sign up by using the sign up box on the homepage. The process is quite simple and will take you around a few minutes to complete. You will also need to verify your email by checking the inbox of the email you used to sign up, after you have verified this Harris Poll Online will be able to send you relevant opportunities your way. The way Harris Poll Online work is simple and easy for anyone to understand, for each survey you complete you will receive a certain amount of points. These will then accumulate until you have enough to withdraw your earnings in return various gift cards. As most survey sites seem to adopt there own kind of site currency Harris Poll also does this tool. There's are called HIpoints, which you will receive for your efforts on the site. The amount you do receive does depend on many things such as the topic of the survey and the length of it, with most surveys taking between 5 and 25 minutes, with the longer ones you can expect to get paid more. Once you have 1250 points you can then request one of the rewards on offer, these consist of different gift cards to US and Canada retailers. These consist of Amazon, Home Depot, iTunes, Starbucks, Walmart and others. At this time I believe they don't have an option to receive earnings in cash, however if you would rather receive cash then these survey sites that pay cash will help you. As with the majority of survey sites no matter how good they are you will find pros and cons. My first impressions of Harris Poll Online but after seeing the reviews and delving deeper in to how the site works that has changed. If there is a good thing to Harris Poll Online then that is that the company as been in launch ever since 1963 which is over 40 years. Checking whether a panel has been up long is important, as ones that are older tend to have more trust and a good history of paying. It does seem with Harris Poll Online that they used to be great however have gone off track over the past couple of years. Since they accept residents over the age of 13 and that they offer opportunities to teens it means that this is a good site for any kids looking to make some extra pocket money or in this case earn a few gift cards. Many sites do have low age requirements however don't give out many teen surveys and target mostly the adult demographic, there does seem to be more of a balance with this one though. What does concern me is the real lack of surveys on offer, if you are to make money its only with surveys at Harris Poll so only being guaranteed 3 a month is considerably low. For some of the survey sites I use, I will login and at least have around 10 surveys to complete a day, at the very least. So when you compare the two there really is a difference, and you can imagine a big difference in earning potential. You also have to take in to consideration that you won't qualify for every survey because you may not be the right fit for the survey or the survey maker might have already reached the maximum quota. If this happens you will most likely be simplifying that number down to either 1 or 2 survey completions. When I see the amount of surveys they offer then look at the reviews it does make sense as many of their members aren't earning a great deal of money. If I recall one of the reviews I saw someone has saved up 6000 points in 2 years, that is $60! That equals at an average of $2.50 per month. There are people who frown at survey sites and say they aren't a consistent way to make money, but even then you can still make a lot more than 2 dollars a month, especially with the better paying sites. Its frustrating to see the lack of opportunities with this site as you can probably tell by the way I'm writing this, as these members could be earning much more elsewhere. Another thing I picked on and found repeated a lot in the reviews is that many members accounts were deactivated with no reason behind it. This is a concern for those who are looking to join and those who are trying to get paid, as it seems there is no guarantee that you will get paid out if this occurs. This is quite a big issue as you are taking your time and effort into chance. You could earn money or you might not and with the support being relatively difficult to get hold of at times it does spell hard work here. While not as big a issues as the first two, people who look at taking surveys online associate it with making actual money. Most sites do in fact offer these opportunities but not all do, if you are looking to get a few gift cards to put towards a few purchases then that's great. However with that said I would check out other panels if you would rather earn cash, or even anything for for that matter. So Is Harris Poll Legit? This is quite an interesting Harris Poll Review I have brought to you and I intially thought I would be labelling them as legit and would be giving you the go ahead to try them yourselves. However despite the many years the company has being them it does seem as though Harris Poll are below par and the issues I have highlighted show that they are not worth your time and effort. Of course if things change and latest reviews go up and rating then I'll come back and update this post. Harris Poll Online despite being established isn't worth it in my opinion, mostly because of the bad reviews going round on them. What do you think to Harris Poll Online? Have any questions or opinions you would like to throw my way? What Is Contractor Advisory Board – Are They Legitimate Or Not? So I'm guessing you have come across this site to find out what is Contractor Panel. If so your in the right place as today I'll be giving you more information on them aswell as telling you whether or not they are legitimate or a scam. This site is different to other survey sites out there as they target a certain audience for there surveys. I'll talk more about this aswell as whether or not I recommend this site. 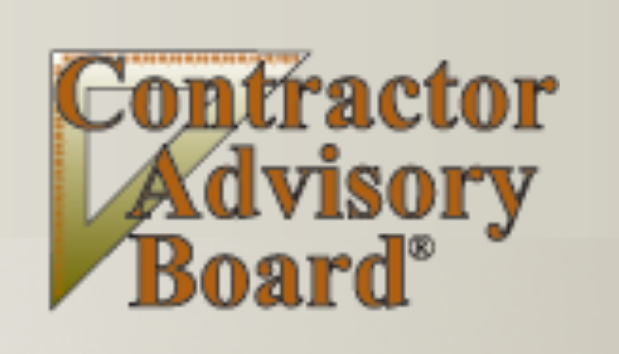 What Is Contractor Advisory Board? 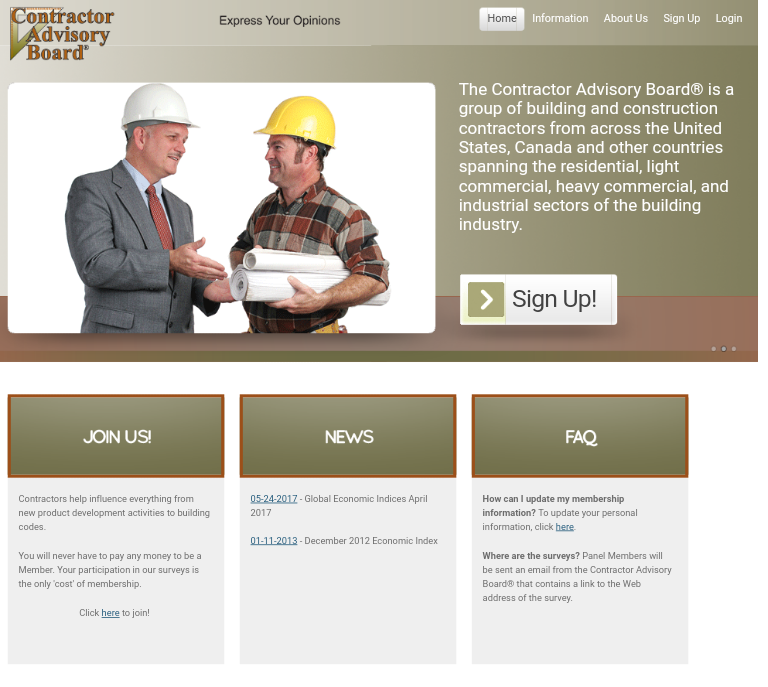 Contractor Advisory Board is a survey panel primarily based in the US that targets the audience of contractors. This consists of Builders, Plumbers, Roofing, Painting and many other types of contractors within the industry. The panel is owned by a market research company called Decision Analyst,Inc. There aim is to gather insights from contractors to help improve services and products within the industry to help them grow. They are a legitimate business and as according to the BBB (Better Business Bureaux they are certified and trustworthy. For those of you who don't know the BBB is a organisation that reviews companys and then gives them a verdict as to whether there trusted or not. How Do You Start Making Money With Contractor Advisory Board? There are a few opportunity's available to you once you are signed up to help you make money, the two main opportunity's here are surveys and focus groups. Now like some reward and survey sites out there they have there own currency. With this site for every point that you own it equates to 1 cent (1 point = $0.01. Surveys pay anywhere between 10 - 800 points but let me break it down for you. They have smaller surveys and more rewarding surveys. The smaller surveys called 'screeners' are worth $0.10 (10 points) these will generally take a couple of minutes at most. The latter of the two types of surveys pays significantly better. They pay between $5 to $8 (500 to 800 points). These obviously pay much better however they will require more time to complete. As for invitations to surveys you can expect to recieve them all throughout the year. They are connected to various contractor companys who are always looking for new voices on different aspects of the industry. What Is The Payout Process Like? The main way they pay there members is through cheque. These are dispatched worldwide depending on where you live. There are two other methods you can get paid, first one being through Paypal and the second one is through charity. They do however have a threshold that you will need to achieve in order to withdraw your earnings. You will need a total of 2500 points which comes in at $25. If you are a contractor and looking to not only make extra cash but make an impact within the industry this could be a site for you. From the feedback and reviews I've seen on them the majority of the members are happy with them. However its worth knowing that this site won't make you rich however if you are in the industry they could give you a second income. What I’d recommend over Contractor Advisory Board​​​​​? The company does pay out and while it's legit and could earn you extra cash there are in my opinion better survey sites out there. The survey site I use to make money and also offers more opportunity's to make money aswell as a lower threshold to cash out your earnings. I've reviewed a number of survey sites however not all of them offer a good way to make a side income. 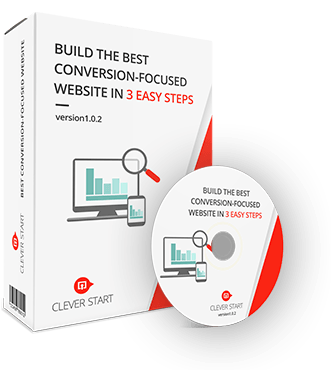 This one won't make you rich but will make you more than the majority of sites already out there. Hope this post gives you more of an idea on what is Contractor Advisory Board. Like This Post? Give it A Share? What Is Hawaii Panel – Are They a Genuine Site To Make Money? If your looking to find more information on what is Hawaii panel then your in the right place as in this post I'll be covering all you need to know about them. There are many survey sites that target different audiences and this one here targets at state in the US which is Hawaii. Now I say this before most of my reviews but when it comes to survey sites it's important to make sure there a legit and genuine opportunity to make money as not all them out there are. However you won't need to worry about checking this site as I have reviewed them for you so you will just whether they are legitimate or a scam in the next 5 minutes. Hawaii Panel is a survey panel that was created to voice the opinions of only people living in the US state of Hawaii. The Hawaii Panel is operated by a Hawaii based panel called Ward Research which is an established market research company. The aim of this company and also the incentive that members get by joining this panel is that people are able to have a say on various products and services within Hawaii. For other survey panels you are helping organisations in your country for some even the world however with this one you can make an impact in where you live. How Do You Start Making Money With The Hawaii Panel? There are a number of opportunities to get your teeth into once you've registered. These consist of Surveys and Focus Groups being the main ways to make money however they do have other opportunities to add to them ones. Surveys pay between 25 to 500 points however the amount you get paid depends on how long and what the survey is about. The surveys are fairly easy to get through with most surveys taking around 15 to 40 minutes. Another Opportunity that is available to members is referring friends in exchange for extra points. Alot of survey sites these days have there own type of referral system. 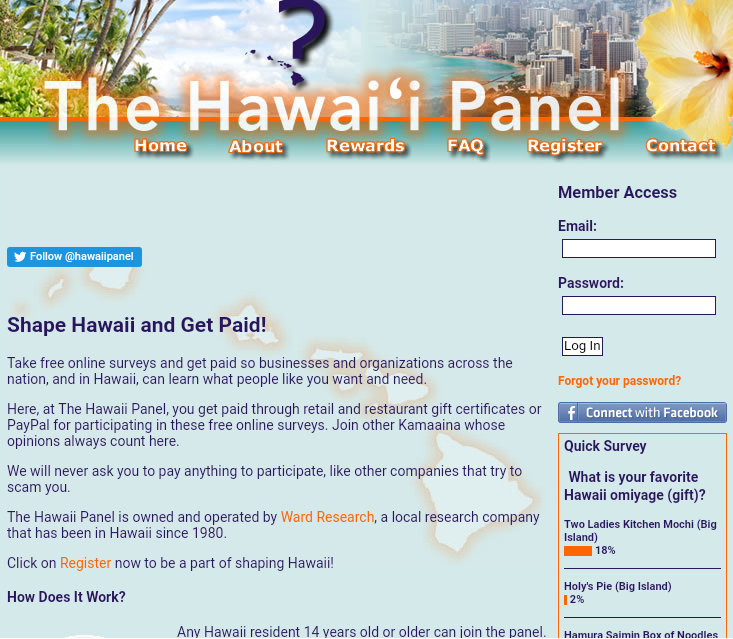 With Hawaii Panel you will recieve 100 points for every person who signs up under you. This is probably by far the best opportunity to make money with Hawaii as while your can get paid up to 500 points a survey having 5 referrals will get you a payout of $5. As I just briefly mentioned the minimum threshold for recieveing a pay out is $5. There are some Payouts available to you at different amounts. It's certainly not the best opportunity to make money however the concept of the site and being able to make an impact is great. I have to admit though if it wasn't for them being exclusive to only a section of the US I would recommend them. ​I guess if your from Hawaii this could be a good site to not only make extra cash but also help the community at the same time. What do you think to Hawaii Panel? Like this Review? Share it with a Friend! 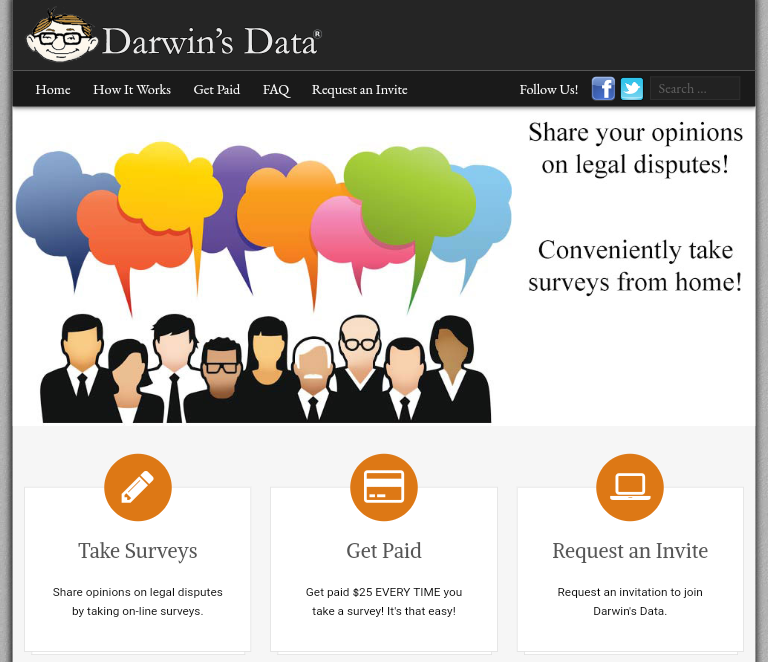 Darwins Data Review – Are They A Genuine Opportunity To Make Money? By the looks of it you have clicked on this post to find out more about Darwins Data and whether they are worth it. This is a survey site that has come to my attention recently so I thought I might check them out to see just what there about. Darwins Data is a research company based in the US who operate the survey panel. The panel is somewhat different to most of the other survey sites out there as they send legal dispute based surveys. So essentially you are able to put your opinions on to good use and make an impact on various legal cases. Firstly you will need to register for the site. While most survey sites make the registration process simple to complete this one works slightly different. 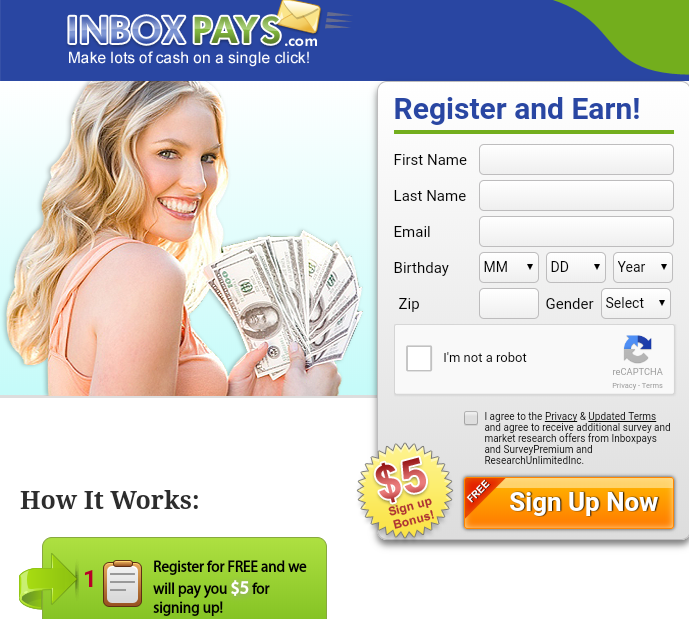 Let me explain how it works, first you will want to request an invitation. Once Darwins Data as accepted it you will then need to complete a registration form. This registration form will take roughly 30 minutes to complete. However while that's a long time you there is an initiative to it in that you will recieve a free $10 Tango gift card. How Do You Start Making Money With Darwins Data? Once you have completed the registration and have recived your bonus you can start earning rewards. Now if your used to surveys or taken some in the past you will know that they generally take anywhere from 10 minutes to half an hour to complete, generally that is. With Darwin you will be required to complete hour long surveys, which you have to complete in one sitting. The survey consists of several parts, you will need to watch a video and then answer some questions on it. The video will be a legal case. An hour is a long time to be in a survey for although they do make up for that with there high payouts. For every survey you complete you will recieve $25. There is a slight catch though, each member is only allowed to complete 2 surveys a year. This means that earning potential is capped of at $50. I guess its a nice for a couple of one of payments however making money on a consistent basis wont be the case with this site. What Are The Rewards Like? They offer various Gift cards as rewards for completing there surveys. They are Legitimate however with only so much you can earn with Darwin I wouldn't recommend them. ​Of course if you don't mind completing 1 or 2 surveys a year and being paid well for them this one could be for you. Also if your interested in legal case based surveys this could be up your street. ​However with that said there are in my opinion better survey sites out there that will help you money on a more consistent basis instead of one offs every now and then. Maybe you like or have even used Darwins Data?